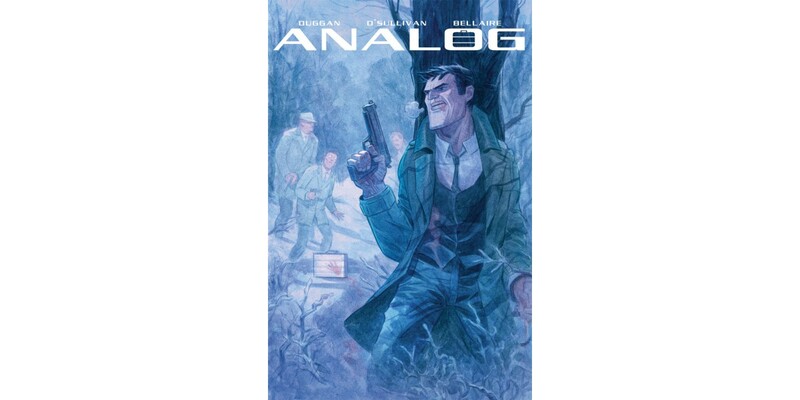 Bestselling writer Gerry Duggan (THE INFINITE HORIZON, THE LAST CHRISTMAS) and artist David O’Sullivan team up for an all-new ongoing series in ANALOG. ANALOG is the future our society is failing to prepare for. The basic security of the internet crumbles after devastating attacks on the internet result in mass doxxing. People, corporations and governments are all affected and the world is changed overnight. Secrets once entrusted to encrypted emails are now printed on paper, put into briefcases and sent around the world in the hands of discreetly armed couriers. Jack McGinnis is a hard-drinking, hard headed former member of the US intelligence community who now earns a living as a "ledger man". O’Sullivan added: "Gerry creates a world where all hope is lost and yet a glimmer exists in the very person who tipped it into the abyss. He makes you care about humanity when it’s at its lowest. There’s also lots of violence, the main character is essentially a walking punch bag!" ANALOG is set to launch from Image Comics in 2018.